How many of you remember how excited you were when you got your first cool car? Mine was a 1979 black/black 733i with a front and rear spoiler, 4 really bent wheels, and a strut tower that was welded together by the neighborhood fence man in East New York, Brooklyn. I loved that car. 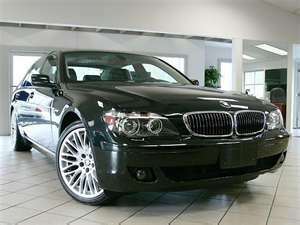 That was when I fell in love with BMW 7 series. There are nice cars, and then there is the ultimate driving machine! If you are looking for a full size luxury sedan bring back the excitement you lost with the mundane daily driver, then it’s time to make a change. I am writing the post as a BMW consumer, and I currently drive a 2006 750i Sport. The 7 series (reviews) commands respect whether standing still or cruising on the Highway. 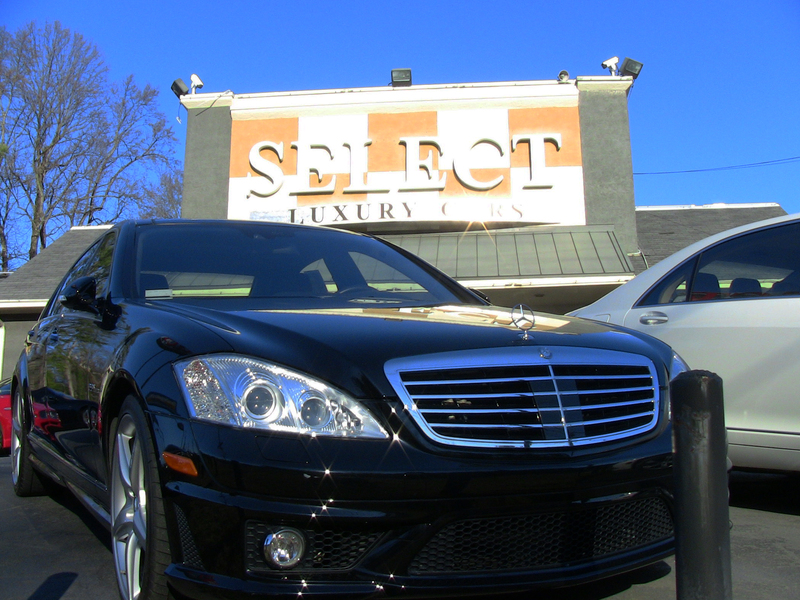 Its luxury appointments make you feel like you’re in your leather recliner with remotes in hand. Now if you’re an aggressive driver or a cruiser you will not be disappointed with the performance and handling of this car. For a large sedan it is very quick (362hp) and responsive. Style wise, there is not another highline luxury sedan on the market that can compete with the styling of this car. I have seen and driven them all including the Mercedes-Benz S-Class or Lexus LS which are the closest competitors in the same class. There are some quirks that might get you annoyed with the I-Drive system in the car. But the best way to look at the system is like windows and mouse on your computer. You go on the application you want then click on it (navigation, climate, audio, etc.). Other than that, do your regular service on it and enjoy the ride. You can get hundreds of thousands of miles out of a BMW as long as you keep it properly maintained. Every time you get in your car you should be excited. When you drive a 750i or Li, you will enjoy yourself. So, join the BMW family and you will soon understand why it is called the “ultimate driving machine”. Buying a car can be a harrowing experience for anyone. There are many makes, model, and color choices from which to choose. Add to that….. the dealerships, sales consultants, trade-in values (if any) and finally coming to a fair price. I cannot tell you how many times I meet prospective buyers who have no idea what class of vehicle or price point they want. *Needs assessment – Know what type of vehicle you are looking for. How much can you spend? Know the payment/price best for you and your family. There are online sites that help you with determining car payments and will generate payment for you based on down payment/term/interest rate, Auto Loan Calculator. You can also check with your bank for their interest rates and terms prior to going to dealership. You have purchasing power as a consumer; don’t be afraid to use it. *Qualify– You owe it to yourself to research the dealership and sales consultant. Read online reviews. Check sites that include reviews/postings:www.dealerrater.com or www.cars.com. Your local Better Business Bureau will also have ratings and complaints as well for the dealer Better Business Bureau. *Demo – You will be in the next car you buy for 2-3 years on average. Research the vehicle you are considering thoroughly. Again, there are great sites to check for safety, gas mileage and reliability. The best source is www.consumerreports.org. *Close – Once you’ve completed the steps outlined and educated yourself on financing, you are ready to CLOSE the DEAL. The internet has very good tools (http://tradein.autotrader.com, www.kbb.com) to use for your trade evaluation. I cannot stress how important is for consumers to get a realistic view of what their trade is worth prior to working with a dealer. Please be honest with yourself when inputting the specs (condition, miles, and options) for your vehicle. The purchase of an Automobile is the second largest purchase in one’s life next to the purchase of a home. When you look for your home, you research the neighborhood, amenities, schools, and shopping. You owe it to yourself to give the same due diligence when buying your next vehicle.